Pat Lee is a Co-Founder and Mentor Coach with BC Bounce. Pat Lee has been involved in basketball for over 40 years as a player and coach. He began playing in Grade 11 at a private Catholic School in Saskatchewan and continued at Mission and Trinity Western University before finishing his playing career at the University of Calgary where he won the rebounding title in 1979 in Canada West and was in the top 10 in scoring. His first coaching job was at Aldergrove Secondary School with the Senior Girls, where they went on to win a BC Championship, 2 bronze and 2 silver before taking over the UCFV women’s program for 2 years and then in 1995 began coaching the men’s program at UCFV. At UCFV, Lee and the Cascades fashioned a record of 151-56 over his time there and won 3 National Championships and 4 British Columbia College Association Championships. Pat has been involved in community basketball throughout his career with many camps and leagues at the high school level and now involved with Youth for the past 3 years. He has taught at every level from elementary to University and believes that teaching the skills and more importantly the values that team sport brings to developing children can be so beneficial to our youth of today. Dominick or Dom as he likes to be called has been a fixture with BC bounce over the past 2 years. He played street ball for most of his high school career and then went onto Whatcom Community College to play for 2 years. His passion is personal training and he is often at ARC with clients and is in charge of the “Rise and Shine” program BC bounce offers at the REC Center every morning. He has trained players in France and in China and has a base of clients in the Bellingham ans Seattle area. He coaches players from elementary to Pro in his training sessions. Mike is the founder of The School Basketball Academy which has now become the Abbotsford Basketball Club (ABC) and more recently developed into BC Bounce. He was a founding father of the club system in British Columbia and through his efforts many Club teams have been started with much success. Mike took some time off from ABC for a few years to focus on family and work and we are excited to have him back as a coach with BC Bounce as he is won of the top creative minds in the game. Mike is currently areal estate agent with Kinfolk Reality in Abbotsford and is married to Leigh and has 3 children, Jaylen, Isiah and Jacobi. After his High school career Mike played for the University College of the Fraser Valley where he was a perimeter player who would often take over the point guard position over his 4 years at the college (now UFV). During his time at UCFV Mike was instrumental in helping the team win 2 National Championships and in the 2002 championships in Nova Scotia, Mike was chosen as the MVP of the tournament. After his playing days were over, Mike helped coach at UCFV in the 2004 where we went on to win our 3rd National Championship in Kamloops. Matt went on to play 5 years of college basketball starting in 2006. He played his first two years at Columbia Bible College, where he was named most improved player for the 2007/2008 season. He then transferred to UNBC playing 3 years and won the 2010 CCAA National Championship. He was named Most Dedicated Player for the 2010/2011 season. In 2011, Matt began his basketball coaching at Robert Bateman, where he was an assistant coach for 2 years, and the head coach of the Sr. Boy’s team for 1 year. Matt has been involved with ABC/BC Bounce since 2012 in which he has coached both at the high school, as well as club teams. He enjoys seeing players of all ages improve their skills, teamwork and character. Danny Horner began playing basketball at a very young age for various club programs. This prepared him to have a successful high school career playing for W. J. Mouat; leading his team as one the top point guards and 3 point shooters in BC. Danny was then recruited by Pat Lee to play for the UCFV Men’s program, where he was the starting Point Guard for two years. After being sidelined for two seasons due to injury, Danny was able to make a comeback to Trinity Western University, where he helped lead his team to the CIS National Finals in his 5th senior season as one of the team captains. He also recorded the highest 3 Point % in Canada West, and ranked 3rd Nationwide. Danny has been coaching basketball for over 10 years many of which were connected to Mike and Pat. Danny also spent 6 years coaching with Athletes in Action, leading the large summer camps for athletes ranging from ages K-12. Danny is a Mortgage Broker with GLM Mortgage Group powered by Dominion Lending Centres. He is also proud to be a family man; married to Brittany with a young daughter Charlotte. Gabby has been involved with coaching since graduating from MEI in 2015. She started playing in Maple Ridge in Grade 8 and Junior helping the school to the provincials each year. After coming to MEI, she helped them to two 5th place finished in the Provincial Championships in 2014 and 2015. 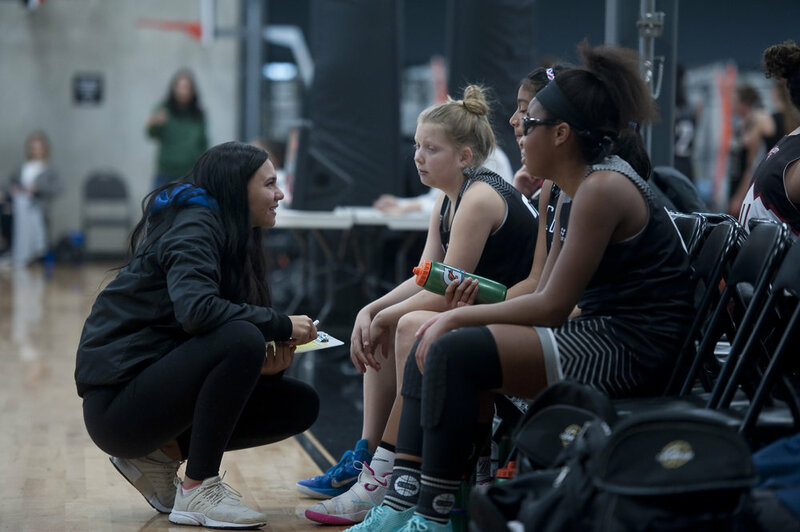 Before graduating, she helped coach in the Steve Nash League and MEI Elementary youth league before taking on an assistant coaching job for MEI Junior Girls in the 2107-18 season. As a player, Gabby, has been involved with the Provincial Program in Grade 8 she made the U14 provincial team and in 2012 She made the U15 Provincial team helping them to a Bronze medal in New Brunswick. Gabby is a new addition to BC Bounce and has made a huge impact coaching our youth club program and withe Bounce Basketball League at the Abbotsford Recreation Center. Trevor Pridie comes to BC Bounce through various playing and coaching experiences. He was a talented High School player from Regent Christian Academy in Surrey, who was captain of his High School team and won many allstar and MVP awards in tournament play. In his senior year, he was selected high school athlete of the year at his high school and a member of the Surrey High Schools all star team. He moved on to play college basketball for Kwantlen Polytechnic University, which plays in the BCCAA college league, for 3 years. He is going into his 4th year coaching highschool basketball at W.J. Mouat where he has coached the Jr. Boys from 2010-2012 and then spent last season with the Sr. Boys as an assistant and is now head coach of the Sr boys. He has worked within Basketball B.C. for 5 years where he has coached with the Basketball B.C. Regional Development Program and also the Provincial team programs where he has coached 4 B.C. Provincial teams in a assistant and head coaching role. This past summer he head coached the U15 red team and also served as a assistant with the U15 blue team that competed at the Canadian National Championships. Trevor is also a certified basketball skills trainer and does individual skill work and has trained many top level high school players both male and female. Tristen has become one of BC Bounce’s most noticable coaches with a great background in basketball. He started with Mike Lee in The School years ago while at Chief Dan George then onto W. J. Mouat where he went on to have many offers to play Division 1 in the United States. He was instrumental in helping Drive Basketball become noticed in the US as his team became very good and often won major tournaments there. He has become a fixture with BC Bounce over the years and has been in charge of the Girls Program over this past winter and taking on a bigger role this summer. 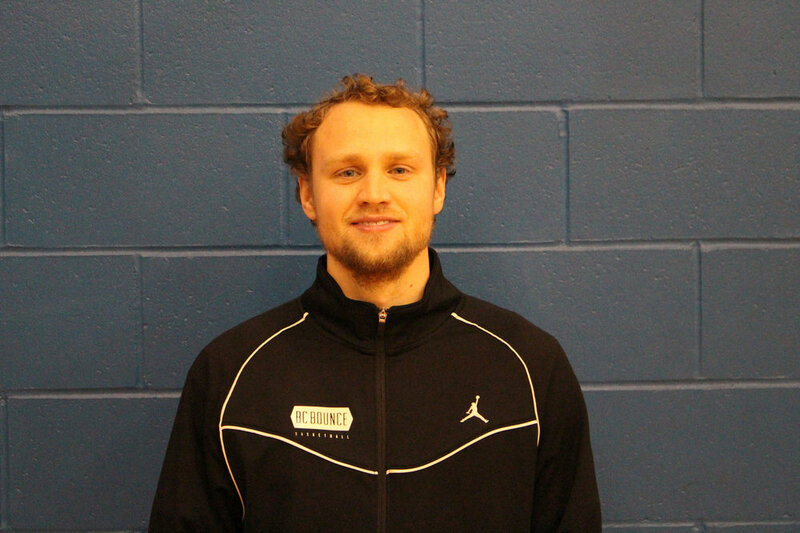 He is passionate and caring and brings a wealth of knowledge to the BC Bounce team of coaches.